Five differentattachmentsall in one product: the STIGA SMT 226 J petrol multi-tool. All powered by the same 25,4 ccPetrol 2-strokeengine. 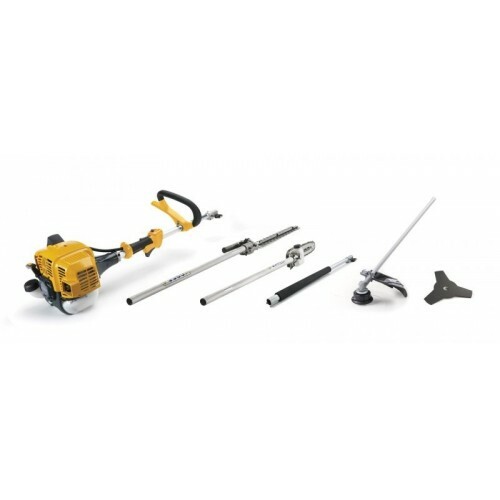 It combinesa curved shaft with trimmer head for the borders maintainance,abrushcutter attachment with a cutting width of 43 cm, a pruner with a bar length of 25 cm an hedgetrimmer with a bar length of 39 cm and a3T metal blade for the most dense shrubs vegetation.